It’s been a wonderful start to the fall filled with holiday fun around campus. In dorms Halloween was celebrated throughout the community with festive decorations, visits to haunted houses, movie nights, and several community service opportunities. Young children in our community enjoyed trick or treating at several of the Main Street dorms including Haines, Avery, and Goodwin House. I loved seeing so many students in costume handing out treats to children in the Wolfeboro community. The Brewster Big Friends Spooktacular was a huge success with many children of our surrounding community participating. Students set up games, held a costume contest, and provided snacks. It was a fun experience for all! 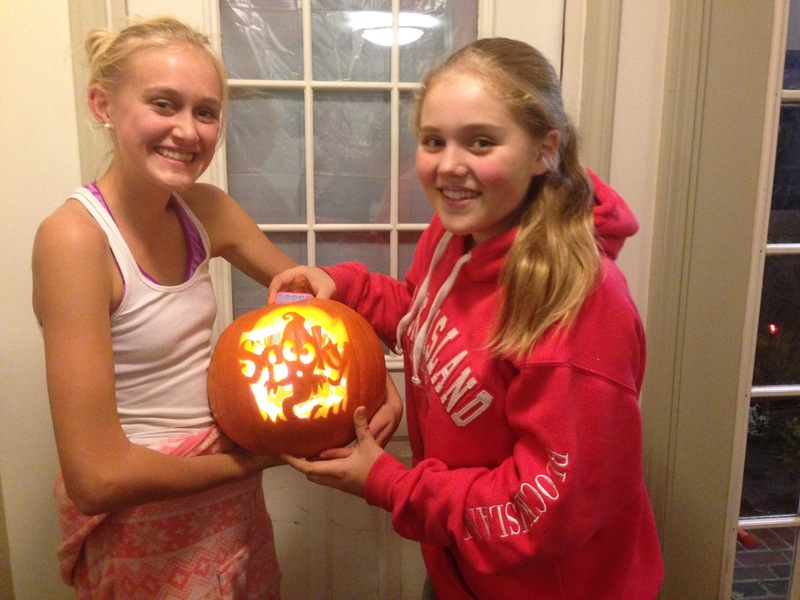 In Spencer House we celebrated Halloween with a pumpkin carving party. Each student enjoyed designing spooky pumpkins, which were lit at Dohrmann Circle with Craig Gemmell participating. Other dorms celebrated Halloween with scary movie nights, treats, or decorations. Avery and Spencer House took dorm trips to the Haunted Overload and the Ghoullog, nearby haunted houses. Several dorms have special traditions that have brought students together to share positive experiences. In Mason House students often spend the evening watching movies in the dorm lounge with snacks provided by Ms. Hunter. They also will participate in an event to raise money for the local food pantry as well as putting together a gift for a local child in need during the Christmas season. Several students on campus have been active in community service. The Random Acts of Kindness Club (RAK) created a kindness chain and provided a rolling cart of bite-size snacks for students last week. Many students in dorms also volunteered to help with the Castle in the Clouds half marathon. Several dorms are planning to participate in community service throughout the holidays including Sargent 3, which is planning a “Teddy Toss” to provide gifts for local children. Throughout the fall dorms have been celebrating birthdays and holding dorm dinners. Brown House celebrated several birthdays and in Hughes House the dorm recently enjoyed a feast of homemade Mexican food and homemade chicken soup. As we enter the winter season, dorms are already looking forward to upcoming holidays and snow!